Only a select few have the privilege of earning a doctorate degree. It is in fact, one of the highest educational attainments any person could have. Most don't even try because it takes so much time, hard work and dedication to achieve. Needless to say, graduating from this post-graduate course is truly a monumental event in any graduate’s life. Therefore, looking your best and feeling your best are essential in order to make this glorious occasion even more memorable and remarkable. We at Gradshop can help ensure you look and feel your best during your graduation. 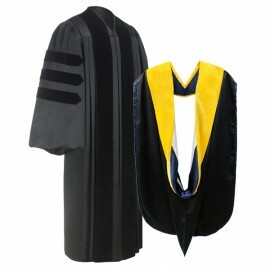 Take a look and make your choice from among our extensive lineup of Doctoral Gown and Hood Packages at very reasonable prices. Our years of experience in providing top quality graduation wardrobes to graduates all over the world is your guarantee that you can't go wrong with any Gradshop item you choose. 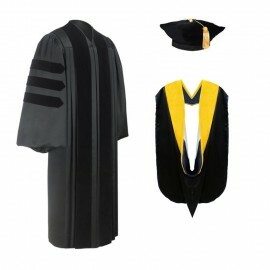 Dive in and order your very own Doctoral Gown and Cap Package right now!